Currently, Android has been commonly used as an operating system smartphones and tablet computers. But in the future, Google had a vision of the Android OS will be on household devices such as refrigerators or washing machines may also. The vision expressed by the Chairman of Google, Eric Schmidt in the event the Consumer Electronic Show (CES) 2012. With Android, household devices can communicate with each other. The device can also do things in accordance with the wishes of its users. Everything is pretty controlled with Android smartphone. 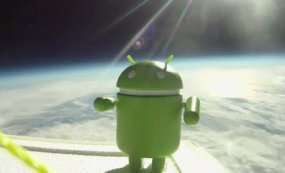 "Already there are companies that use Android in the refrigerator. It also requires the automation of the refrigerator," said Schmidt as reported by AFP. "When you walk into the house with Android devices, all bodies will adjust to fit what you need. As I walked into the living room, television can recognize you there," he said. Currently, some manufacturers also make Google TV. This smart TV allows access to various applications and surf the Internet. Currently, Android has become the most popular operating system Android smart phones. Google claims about 700.00 Android handset unit is activated every day.